When I’m traveling through Japan, I always keep my camera ready, because I know that I might find something beautiful to photograph. 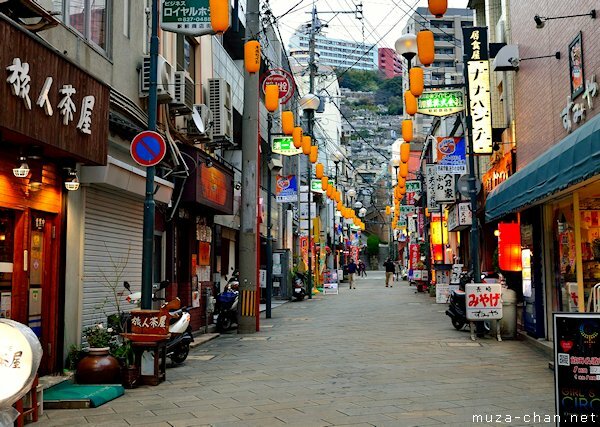 One evening in Nagasaki, close to the Nagasaki Station, I discovered this street lined with restaurants, abruptly terminated by a steep hill. In the light of the twilight, the place looked a bit surrealist… Simply beautiful scene!